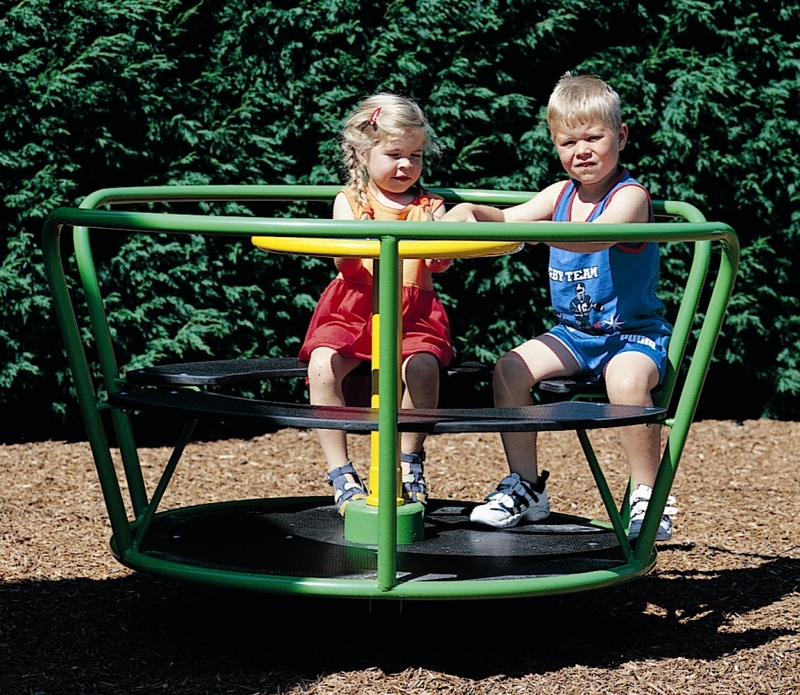 The roundabout is rotated by the hand wheel or by someone outside the piece. The motion introduces children to some basics of natural physics in a fun and co-operative environment. The capacity of the piece for up to six children develops social and cooperative skills and allows for all inclusive play.